We invite all, the whole earth, to listen to this account and take measure of its truth. God bless us as those who believe in His divine manifestations and help us to extend knowledge of these great and marvelous occurrences to all who will listen. To these we say in a spirit of love, bring with you all that you have of good and truth which you have received from whatever source, and come and let us see if we may add to it. It could be said of Joseph Smith that his greatest genius was in aggregating the best doctrines from every religion and philosophy of the world. 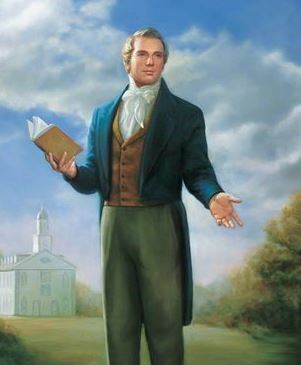 That was the outcome of the restoration of the gospel of Jesus Christ through Joseph Smith. The church has many doctrinal agreements with conservative Evangelical Christianity. Yet it also has agreements with progressive Christianity. We also find unique crossover with Judaism not found in other Christian churches. You can find various elements of the LDS church that blend well with Hinduism, Islam, Buddhism, and other world religions. I did not like the old man being called up for erring in doctrine. It looks too much like the Methodist, and not like the Latter-day Saints. Methodists have creeds which a man must believe or be asked out of their church. I want the liberty of thinking and believing as I please. It feels so good not to be trammeled. It does not prove that a man is not a good man because he errs in doctrine. In September 1993, the church excommunicated six scholars who published historical and other material that the church deemed as inappropriate conduct for a member. Many viewed this as symbolic of a time period when the church was tightening its borders. Per John Dehlin in a private interview, Elder Holland told him the church was a big tent and we would rather have them in the center, enjoying fully the blessing of church membership, but even if all someone could do was stand all the way in one corner with one foot in the tent, we want that person in the church.